We are a leading Manufacturer of rice puff making machine and roasted rice making machine from Kolkata, India. We have gained much acceptance as notable manufacturer and supplier of best in class Rice Puff Making Machine. This machine serves the benefit of optimum feeding capacity and superior output speed, as we have used premier grade components with advanced roasting technology. 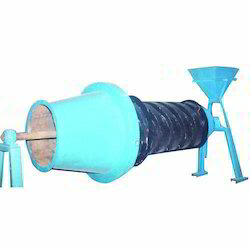 Our offered puffed rice making machine is available in varied output capacities. Owing to our wide expertise, we are involved in manufacturing and supplying highly demanded Roasted Rice Making Machine.